Hakonechloa macra ‘Aureola’ is a deciduous perennial grass with a tufted habit. Its foliage is light green, narrow, arching and variegated. Its flowers are insignificant and wind pollinated. The species, Hakonechloa macra, commonly known as Japanese Forest Grass, is native to Japan. The etymological root of the binomial name Hakonechloa was named for Hakone, a region of Japan, combined with the Greek word chloa ‘grass’. Macra is also derived from the Greek, meaning ‘large’. Hakonechloa macra ‘Aureola’ may be useful to the landscape architect as a low maintenance low ground cover. This plant associates well with other grasses and prairie style planting. 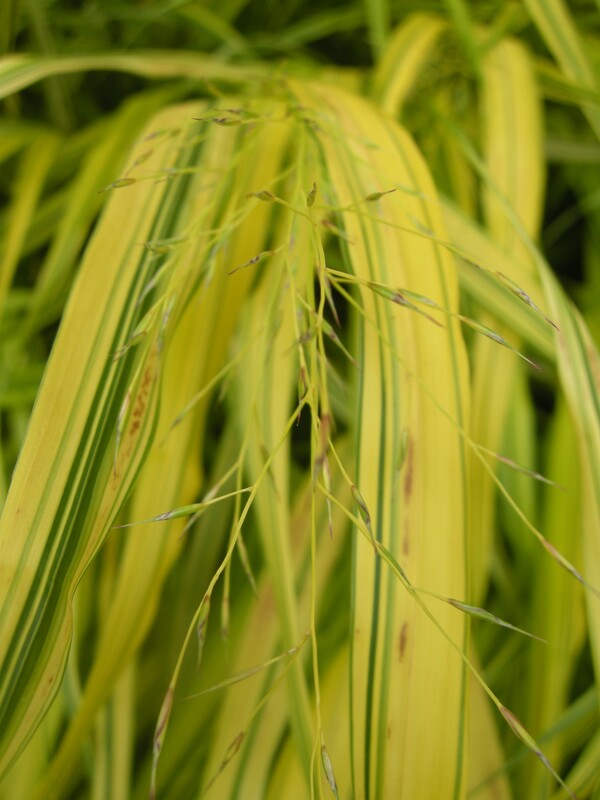 The Royal Horticultural Society gave Hakonechloa macra ‘Aureola’ their prestigious Award of Garden Merit in 1993 and the ‘Alboaurea’ cultivar gained the award in 2002. 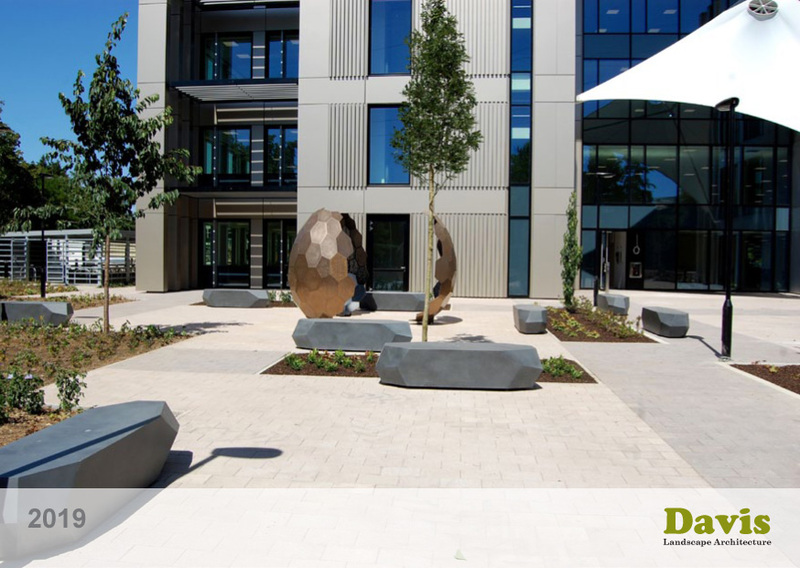 Hakonechloa macra ‘Aureola’ will tolerate almost any soil conditions; it will be happy at neutral, acid or alkaline pH levels, in loam, chalk, clay or sand based soils, facing any sheltered or exposed aspect. It prefers a soil which does not dry out. Hakonechloa macra ‘Aureola’ will not have a large positive ecological impact as it is not native to this continent although some sources believe it to be good for attracting butterflies. 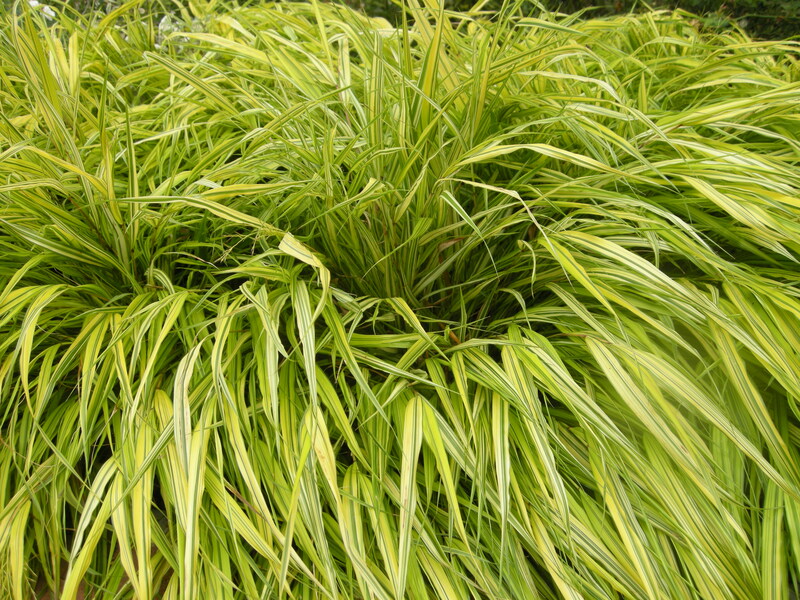 Hakonechloa macra ‘Aureola’ requires little to no maintenance. Dead foliage and flowered stems may be cut back to the base of the plant. Large clumps of this grass may be divided in March.